Citation: Palmer WKG. Why Wind Turbine Sounds are Annoying, and Why it Matters. 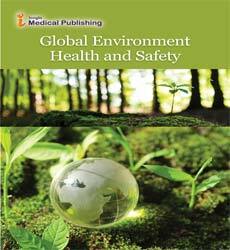 Glob Environ Health Saf. 2017, Vol. 1 No. 2: 12. The paper identifies measures for some of the special characteristics that can be correlated to the changes in annoyance level. Development of promising modifiers to normal LAeq sound limits, as from cyclical nature, tonality, and dominance compared to background are suggested to improve the effectiveness of regulations. A key recognition is that annoyance is related more to changes and characteristics at a particular time, rather than to long- term averages of sound. As a precursor to determining annoyance from wind turbines, the general characteristics of four Ontario wind power developments placed in service between 2009 and 2016 is presented in this Table 1 to show how turbine size, number of homes impacted in a project, and turbine density is changing. Table 1: Changes in Characteristics of Four Typical Ontario Wind Power Projects. • How you are feeling? • Have you experienced any changes in your life? Collecting a small number of “anecdotal complaints” based on personal observation, or relying on stories shared by people is criticized as not being a systematic scientific evaluation, and contrary to “evidence based” diagnosis. Yet, few would dispute that listening to individuals has a place in establishing a proper scientific investigation. • Sleep problems abate if away from home, but recur on return. • Vibration noted in home. Body seems to be quivering. • Tried sleeping in other beds, or other rooms, as unable to get rest. • Went away from home regularly to sleep. • Sleep situation got worse over time. • Even tried turning in bed-putting head at foot of bed to see if it was better. • Infants, youth, or adults troubled by earaches. • Personal diabetes, or that of family member used to be well controlled, now finding control of blood sugars erratic. • Feel fuzzy headed, cannot concentrate, read, or use computer. • Dizziness, fell, found need to use walking assist. • Bothered by noise when turbines change state (start up, shut down, or yaw). • Bothered by cyclical whoosh noise. • Noise seems worse at night than in the daytime. • I’ve lived in noisy cities, and that did not bother me, but I cannot get used to this. • Flashing aircraft warning lights cannot be escaped. • Visual dominance of wind turbines on landscape. • Afraid of falling asleep when driving to work. Dozing away while in car. • Unable to maintain previous work due to errors or tiredness. • We just could not live in our home any longer, had to move away. • No one believes me or cares. Individuals presenting the complaints showed sincerity and gave no indication of being chronic complainers. These feelings were something new to them. Some citizens maintain rigorous logs of complaints filed with the wind turbine operator and the provincial Ministry of the Environment. Review of several of these logs was undertaken to correlate the complaint to the turbine operational condition and the environmental factors (wind direction and speed) at the time. Recordings were conducted of the conditions at varying locations inside rooms of a vacant home to determine if “room modes” might be a potential factor to explain conditions inside a home near wind turbines. Combinations of harmonic waveforms show in theory that the waveform will be largest in the room corners, and smallest at the center of the room. This suggested that taking a sound level reading in the center of a room as often a common practice is not representative of the worst conditions. Calculating room modes identifies that the most significant variations would arise in a room that is nearly cubic. Small square floor plan bedrooms with high ceilings, tending towards a cubic geometry, typify Ontario farm homes. This suggested that research might confirm if measurement of conditions inside rooms might show variations that could explain some of the observations. Permission was granted to monitor outside and inside a vacant furnished home. Measurements were conducted for various output levels of the nearby wind turbines. An Earthworks M30BX measurement microphone collected sound samples, digitized at a sampling rate of 44,100 samples per second by a M-Audio Fast Track USB digitizer, stored on a Macintosh iBook G4 computer using the Audacity digital recording software . The Earthworks M30BX microphone has an omnidirectional response flat from 9 Hz to 30 kHz+1/-3 dB, and a noise floor of 22 dB SPL equivalent (A Weighted). The microphone with a 90 mm primary windscreen was mounted on a vibration resistant mount in a secondary foam windscreen with a 450 mm minimum dimension. The microphone and array was calibrated before and after each sample data set with a Lutron SC-941 1 kHz/94 dB Sound Level Calibrator. The collected digital recording samples were processed using the Faber Acoustical Electroacoustics Toolbox software Version 3.5  on a Macintosh MacBook 2.1 computer. • Traffic noise of motor vehicles on roadways (recorded inside and outside homes). • Air traffic overhead (and in aircraft). • Rail traffic (onboard trains and from passing trains). • Lake waves near the shoreline. • Wind in coniferous trees, leafed and bare deciduous trees. • Wind on open terrain, both mown lawns and open fields. • Public places such as churches and libraries.The character of the environmental sound measurements has been compared to those from wind turbines to determine differences in the acoustic quality of wind turbines. Examination of the characteristics of wind turbines erected in Ontario shows that in an eight-year period, the physical setback from homes to wind turbines increased from as close as 210 metres to non-participant homes (for the single Enercon E-48 turbine at the Canadian Auto Workers-now UNIFOR, family Education Centre in Port Elgin) or over 400 metres for wind turbines in arrays, to 550 metres from wind turbines in arrays. However, as array wind turbines grew in height from 121 metres to 185.5 metres, the perceived setback decreased, from 3.7 times tip height, to 3.0 times tip height. At the same time, the number of homes within 1500 metres of any turbine in an array, increased as turbines were sited in more populated environments. In the 2009, Enbridge Underwood array, 265 homes were located within 1500 metres of the 110 turbines in the array, for an average of 2.4 homes per turbine. In 2016, the Niagara Region array, 2129 homes were located within 1500 metres of the 77 larger turbines in the array, for an average of 27.6 homes per turbine. Coincidentally, the setback of wind turbines to lot lines and roadways fell from a value equal to the blade tip height of the turbine (121 metres for the Enbridge Underwood turbines), to a reduced setback of blade length plus 10 metres (60.5 metres for the Niagara Region turbines). In 15 of the 80 cases (19%), the identified wind speed during the complaint was below 4 m/s (14.4 km/hr.) The Ontario compliance protocol for wind turbine noise (April 2017) permits an assessment to use either three wind speed bins between 1 and 7 m/s or two wind speed bins between 1 and 4 m/s. This would permit an assessment to choose three wind speed bins of 5, 6, and 7 m/s, and to miss all data below 5 m/s. It is not sufficient to "permit" taking data from 1 to 7 m/s, when only "requiring" as few as three wind speed bins between 1 and 7 m/s. The compliance protocol notes that the turbine array must be at a power level of 85% or higher before recording acoustic data, but only 22 of the 80 complaint cases were for actual array output over 229 MW (85% of 270 MW). In only 2 of the 80 complaint cases was both the actual array output and predicted output less than 126 MW (47% of rated output.) However, moderate array outputs of 50% or higher, did generate annoyance. The result of a protocol that can miss complaints filed for lower wind speeds and lower turbine outputs is that the presence of complaints at lower turbine outputs when the wind speed close to the ground is low are ignored. In 20 of the 80 cases (25%), the predicted output was at least 100 MW above the actual output, and for some hours the difference was over 260 MW. This suggests that curtailing of these turbines (reducing output due to excess system generation) is not effective at eliminating noise annoyance, and may indeed heighten the annoyance as earlier reporting showed tonality increased during curtailing. Complaints were sometimes filed at different times and days for the two homes. This was not unexpected since the two homes have their closest turbines in different directions and would be influenced differently by the same wind direction, as shown in the following Tables 2 and 3 as well as Figures 1 and 2. 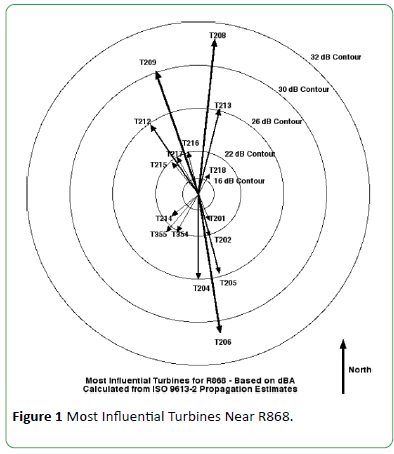 Figure 1: Most Influential Turbines Near R868. 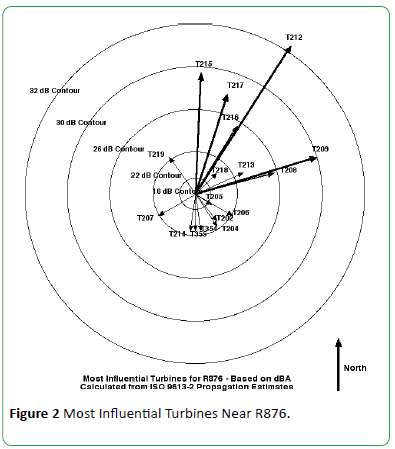 Figure 2: Most Influential Turbines Near R876. Table 2: Turbines Within 3000 m of Receptor R868. Table 3: Turbines Within 3000 m of Receptor R876. The wind direction during complaints by the residents was compared to the frequency of wind direction over the year for the Environment Canada data from the Goderich Airport in Tables 4 and 5. 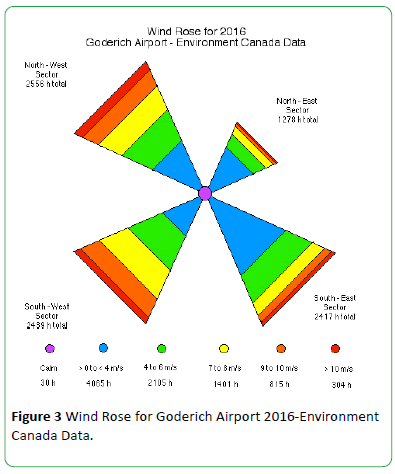 A simplified wind rose for the year 2016 based on the Goderich Airport data is plotted in Figure 3. The wind rose shows the wind direction for the four sectors, north-east, south-east, south-west, and north-west, and a representation of the duration in hours for wind speed bins in each sector. Figure 3: Wind Rose for Goderich Airport 2016-Environment Canada Data. Table 4: 2016 Wind Direction at Goderich Airport, and when Complaints Filed. Table 5: Wind Direction and Speed-Goderich Airport 2016. Receptor R868 has a nearly equal distribution of turbines to the north and south, with turbines to the north slightly closer, and thus presumably more influential. Yet, 70% of the complaints arose when wind was from the south, with the most complaints when wind was from the south-west sector. At this time the receptor would be down-wind of only relatively distant turbines in the south-west sector, while off the side (orthogonal) to the turbines to the south-east, and to the north-west, while upwind of the turbines in the north-east. As a result the blade tips of turbines in the north-west and south-east will be moving towards the receptor, descending for the case of the turbines to the north-west, and rising for the case of the turbines to the south-east. The blade tip motion towards the receptor may be a factor by inducing a repetitive frequency shift (similar to the Doppler effect caused by an approaching noise source.) This may be a factor in the tonal pitch change “woo woo” reported by the residents. The higher annoyance reported when the wind is from the southwest seems to suggest that the contribution of orthogonal turbines is higher than predicted, and even that upwind turbines may be a larger factor than predicted. Further, the slightly higher annoyance to R868 when the wind is from the south-east compared to the north-west, even when wind rose shows the winds from the south-east are lower in speed than winds from the north-west suggests that annoyance is a factor of more than just being downwind. Annoyance may be influenced by local micro terrain changes as terrain falls away from the receptor towards turbines in the south-east, but rises towards turbines in the north-west. This is shown in Figure 4. This could have the effect of concentrating the noise effect when downwind from the turbines to the south-east. This micro-terrain effect is not accommodated by the prediction of annoyance used in siting approvals. 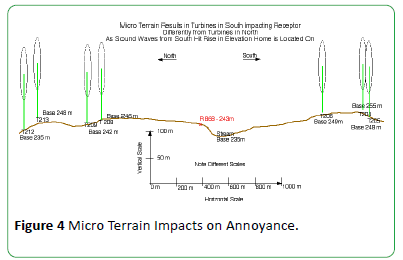 Figure 4: Micro Terrain Impacts on Annoyance. In the case of Receptor R876, the most influential turbines are located in the north-east sector. The wind rose shows that this sector has the least wind frequency, and there is less high velocity wind from this direction. The frequency of receptor complaints is only 10% for winds from this sector, confirming that the low frequency and velocity of wind from this sector results in less down-wind noise annoyance from this direction. Only winds from the north-west sector have a lower frequency of complaints (6.7%). There are no turbines less than 2 km from the receptor in that direction. The highest frequency of complaints (46.7%) from Receptor R876 was for winds from the south-east sector. Here, the turbines in the north-east sector would be facing orthogonal (at right angles) to the receptor, with the blade tips coming towards the receptor while rising after passing the turbine mast. It is noted that 33% the complaints of earaches occurred with wind from the south-east sector. The second highest frequency of complaints (36.7%) from Receptor R876 was for winds from the south-west sector. At this time, the turbines would be facing that direction, and the receptor would be upwind of the turbines. 50% of the complaints of earache arose with winds from this sector. At the 2011 Wind Turbine Noise Conference in Rome, Dr. Sidney Xue, a wind turbine designer, suggested the need to monitor for indications of concern when receptors are upwind of wind turbines, due to the reflected pressure pulses as the blades rotate. These reflected pressure pulses may be a factor in the reports of earache. Receptor R876 also reported shadow flicker as an issue in the mornings (and submitted a video of the flashing in the home bedroom). This receptor has turbines T208 and T209 slightly north of east, and the problem was noted in the summer when the sun was north of the equinox position. Examination of the complaint file and environmental data shows that in the hour of 9 of the 80 complaint cases, or in the hour preceding or following the complaint, the relative humidity exceeded 90%. This shows that excluding analysis of cases when relative humidity is over 90% could under predict the cases of annoyance by about 10%. Although manufacturers identify a specification for instrumentation from -10°C to 50°C, and from 5 to 10% relative humidity up to 90% relative humidity, instrumentation generally performs beyond those limits, and failure is usually obvious, not simply a case of drift in calibration, particularly if the instrumentation is located in sheltered locations and if remote microphones are protected by periodically replaced silica gel in a “zip-lock bag”. The full year of data for the Goderich Airport shows that eliminating data with relative humidity over 90% or temperature below -10° C would reject 997 hours in the year (11.3% of the data). To determine if “room-conditions” inside a home might produce a sound profile that could explain some of the observations made by residents, measurements were made inside and outside a furnished home vacated by the owners. Measurements were conducted for various output levels of the nearby wind turbines. An Earthworks M30BX measurement microphone collected sound samples, digitized at a sampling rate of 44,100 samples per second by a M-Audio Fast Track USB digitizer, stored on a Macintosh iBook G4 computer using the Audacity digital recording software. The Earthworks M30BX microphone has an omnidirectional response flat from 9 Hz to 30 kHz+1/-3 dB, and a noise floor of 22 dB SPL equivalent (A Weighted). The microphone with a 90 mm primary windscreen was mounted on a vibration resistant mount in a secondary foam windscreen with a 450 mm minimum dimension. The microphone and array was calibrated before and after each sample data set. The collected digital recording samples were processed using the Faber Acoustics Electroacoustics Toolbox software on a Macintosh MacBook 2.1 computer. The study home is typical of a century Ontario farmhouse, but with extensive upgrades. A view of the study home is shown in Figure 5. The home exterior walls are a double brick construction. Interior insulation, a lath and plaster wall, in some cases with a further interior gypsum wallboard layer result in an overall wall thickness of some 12 inches (30 cm). Windows are upgraded modern design triple glazed casement construction, with resilient gasket seals. The floor plan of the study home is shown in Figure 6. Shown on the floor plans are the locations where sound pressure level monitoring was carried out, in the downstairs living room with the room window open and closed and in two upstairs bedrooms, in the center of the room, the corner of the room, and the center of a wall distant from the room window. Measurements were made with the bedroom windows fully open and fully closed for each case, and for some cases with the windows open only about 2 inches (5 cm.) to be typical of normal conditions. Although the rooms were normally furnished, with normal floor and wall covering materials present, there was little operating equipment in the home. No fans, refrigerator, or freezer were operating. Although electrical service was connected to the home, electrical loads were minimized, typically clocks or cube adapters for cordless telephones. Figure 6: Study Home Floor Plan and Interior Monitoring Locations. 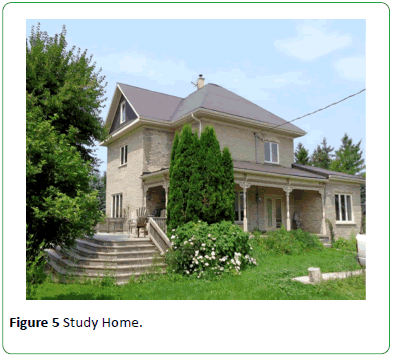 Figure 7 shows the study home surroundings. The home, identified as R145 in Table 1 has 6-1.65 MW wind turbines with 82 meter rotors on 80 meter hub height towers within 1000 meters, 8 more turbines from 1000 meters to 2000 meters, and 16 more turbines from 2000 meters to 3000 meters. Figure 7: Study Home Surroundings. Figure 8: Sound Characteristics Outside the Home. • July 24 TLE-blue line-readings taken 6.2 km from the nearest wind turbine, on a day when turbines were rotating, but at a very low power output of only 1 to 2 MW, compared to the array rating of 181.5 MW. • July 28 TLE-purple line-readings taken at the same site 6.2 km from the nearest wind turbine on a day when 110 turbine array operating at 105 to 127 MW, 58 to 70% of rated power. • July 24 Front-red line-readings taken outside the study home within 45 minutes of the reading taken in the TLE sample. Both sites are subject to the same environmental conditions of wind (very light), proximity of vegetation type (predominantly long needled coniferous pine trees), and proximity to roadways (but with no road traffic in either case). Turbines rotating, but array at very low power of 1 to 2 MW. • July 26 Front-yellow line-readings taken outside study home when turbine array output was between 40 to 70 MW, about 22 to 38% of rated output. • July 28 Front-green line-readings taken outside study home when turbine output was between 105 to 127 MW, 58 to 70% of rated output, the same day as the readings at the 5 km away site were recorded. In preparation for the evaluation of the data collected inside the home, the theoretical room modes were calculated for the study home BR1 dimensions using the web-based calculator  Room modes are created due to the reflection of sound between room surfaces. Although it is possible to calculate the theoretical room modes for the axial modes-sound waves reflecting between two parallel surfaces-such as the opposite walls of the room, or the floor and ceiling, or for tangential modes-sound waves reflecting between four surfaces, or oblique modes-sound waves reflecting between all surfacesfloor, ceiling, and walls, the theoretical calculation will apply fully only to an empty room, while in reality rooms have furnishings, floor coverings, and wall coverings that change the precise values. However, the room mode calculator gives a beginning place. The calculator returns the value of the frequency based on the room dimensions, and gives an evaluation of the magnitude of the degree of excitation at each frequency. For this case, the lowest frequency mode occurs at 48.5 Hz, the mode at 68.6 Hz. is strongly excited, and there is a clustering of 9 modes from 109 Hz to 145 Hz. • BR1 Dimensions L 11’0” x W 11’8” x Height 8’3” (3.35 m x 3.56 m x 2.51 m). The test for the research was to see if these theoretical room modes are matched in reality for the actual room, with its furnishings. Figure 9 shows the FFT display of the calibrated sound pressure levels (flat-not weighted) for frequencies between 1 and 1000 Hz at the three monitoring locations in BR1-center of room, head of bed=middle of wall, and corner of the room, on two separate dates, when the turbines are not operating (on August 2nd) and when turbines were at moderately high power (on July 28th). Note that these readings were performed with all windows closed, on this solid home with casement windows including tight seals. 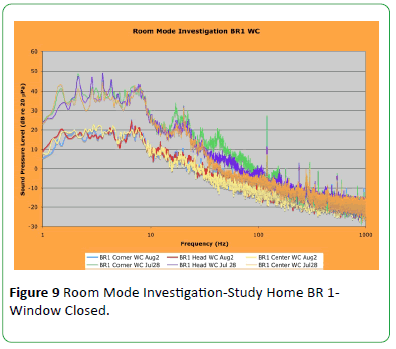 Figure 9: Room Mode Investigation-Study Home BR 1-Window Closed. The data shows that broad peaks in the sound levels are seen, on the higher power July 28 case (when turbine output was between 105 to 127 MW, a 58 to 70% of rated output), at frequencies in the same range as the room mode predicted peaks. The presence of the blade pass frequency when the turbines are operating is clearly visible. The case with the turbines off, on August 2 does not show the blade pass frequency peaks, nor does it show the significant increases in sound pressure levels at the predicted room modes. The July 28 case shows that the sound pressure level is highest in the corner of the room (green line), of medium intensity at the head of the bed (middle point of the wall-red line) and lowest in the center of the room (orange line) particularly if one looks between the frequencies of 10 to 100 Hz where the room modes are predicted to be concentrated. The clustering of room modes is evident as predicted. Also visible on the chart are sharp peaks at 120 Hz and harmonic multiples of 60 Hz. It was noted that a cube tap power supply for a cordless telephone located in the room had an audible hum. The test then turned to the second study bedroom in the home, BR2. Again, the theoretical room modes were calculated as before using the web-based calculator. The prediction shows a clustering of room mode impacts between 74.2 Hz and 94.1 Hz. and again between 110.2 Hz and 116.8 Hz. 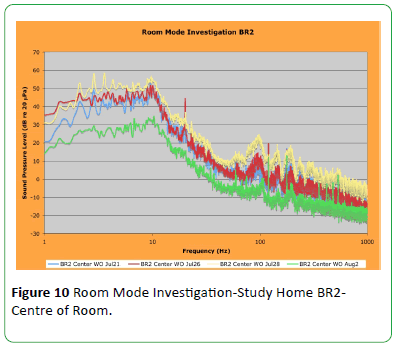 Figure 10: Room Mode Investigation-Study Home BR2-Centre of Room. • August 2-green line-no turbines in array operational, power 0 MW. • July 21-blue line-array power levels between 6 MW and 9 MW, thus 3 to 5% of rated array output. • July 26-red line-array power levels between 23 MW and 53 MW, thus 12.7% to 29.2% of rated array output. • July 28-yellow line-array power levels between 97 MW and 127 MW, thus 53.4% to 70% of rated array output, moderate power. The wide peak just below 100 Hz confirms the prediction of the room mode calculator that over 30% of the impact will be between 74 and 94 Hz. Some presence of a room mode increase is seen even on the day the turbines are not operating (August 2nd) but the peak is much less pronounced, perhaps 5 dB above ambient, compared to the increase of some 15 dB above ambient when turbines are operating. It is noted that this variation was not visible in the conditions outside the home (see previous Figure 8), but it is enhanced inside the room. Again, in the case when the turbines were not operating on August 2nd there is neither sign of the blade pass harmonics, nor of the 20 Hz peak corresponding to the generator speed of rotation. A narrow peak at 120 Hz is visible in all cases. It is noted as was seen in the photograph of the study home (Figure 5) that the main electrical supply feeder is directly outside this room window. 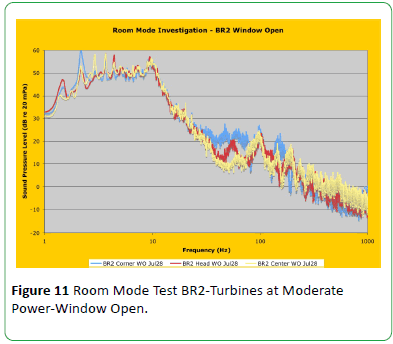 To conclude the room mode investigation, Figure 11 shows the sound pressure level readings in Bedroom 2 with the window slightly open during moderate power turbine operation (53.5 to 70% of rated output). Figure 11: Room Mode Test BR2-Turbines at Moderate Power-Window Open. The data in Figure 11 again shows the clustered room mode peaks 74.2 Hz and 94.1 Hz. and again between 110.2 Hz and 116.8 Hz. The sound pressure level in the corner of the room was highest, and the readings in the center of the room were lowest. Again, the blade pass frequency harmonics are clear at the frequencies below 10 Hz, even with the microphone rolloff being evident. To be able to portray the effect of sound quality on annoyance, recordings made in the vicinity of wind turbines were compared to recordings made in the environment separated from wind turbines. Figure 11 shows the data taken at R285 in the Enbridge Underwood Wind Power Project, which has the closest turbine at 575 m, 2 turbines within 1000 m, 9 more from 1000 m and 2000 m, and 5 more from 2000 to 3000 m. The readings were taken one evening just before and again just after the turbine array was “curtailed” by the Ontario Independent Electricity System Operator (IESO) due to excess grid generation. The array output dropped from about 110 MW (60.6% of rated output to near zero, with only 1 turbine continuing in operation, located 6.8 km away from the measurement site. Other environmental conditions (microphone location, local wind speed, temperature, etc.) were essentially unchanged between the two measurements. Figure 11 also shows the Sound Level Meter output from the Electroacoustic Toolbox with the turbines in operation, and with only the turbine at 6.8 km in operation. Table 6 gives a tabular display of key values from the input to Figure 12 from the FFT output and Electroacoustics Toolbox Sound Level Meters. 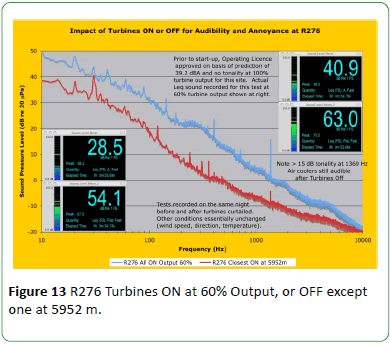 Figure 12: R285-Turbines ON at 60% Output or OFF Except One at 6772 m.
Table 6: Changes in Sound Pressure Level at R285 with turbines on or off. Figure 13 and Table 7 shows the similar comparison at a second receptor, R276, which has the closest turbine at 500 m, 6 turbines within 1000 m, 5 more from 1000 m to 2000 m, and 2 more from 2000 to 3000 m. Recordings again taken with all turbines in service at about 60% rated power output, and after all turbines were taken out of service except a single turbine at 5952 m distance. 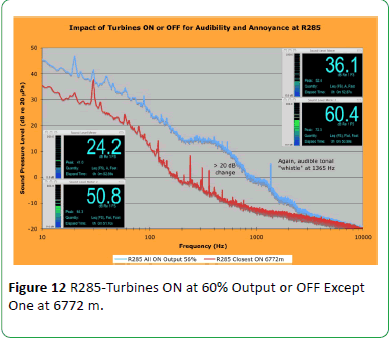 Figure 13: R276 Turbines ON at 60% Output, or OFF except one at 5952 m.
Table 7: Changes in Sound Pressure Level at R276 with turbines on or off. Figures 14 compares the difference the difference of the sound from wind turbines to typical sound pressure levels in the natural environment. What the figure does not adequately portray is the difference between a repetitive cyclical signature produced by a wind turbine compared to the random nature of natural sounds, nor does it display the fluctuation of the wind turbine signal, which varies with blade passage past the support column. The figure shows that there are sounds in nature that are greater in sound pressure level of wind turbines such as babbling brooks. Most individuals describe it’s random pattern as soothing, unlike the cyclical repetitive pattern of wind turbines. Although the natural sounds may be of greater magnitude at higher frequencies, the magnitude often falls to be less than wind turbines at lower frequencies. Certainly there are exceptions, such as volcanoes, and thunder, but these occur irregularly rather than as 24/7 phenomena. 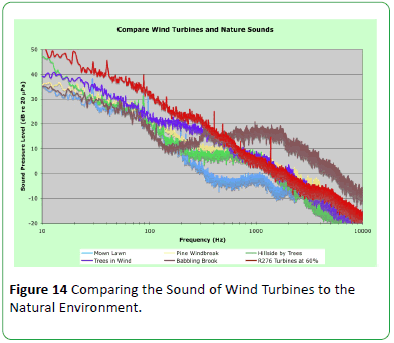 Figure 14: Comparing the Sound of Wind Turbines to the Natural Environment. Figure 15: Comparing the Sound from Wind Turbines to that from Motor Vehicles. 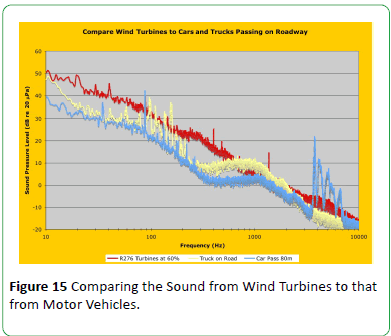 Figure 16compares the sound from wind turbines to the sound from motor vehicles (cars and trucks) passing by on the highway. The sound signature from motor vehicles shows both tire noise, and engine noise, at different frequencies. 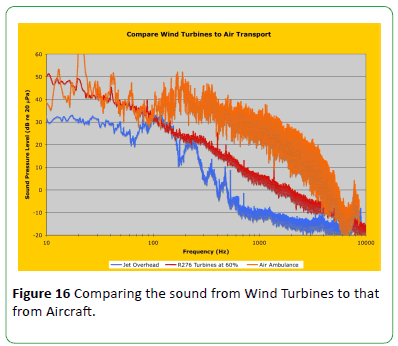 Figure 16: Comparing the sound from Wind Turbines to that from Aircraft. For completeness, Figures 17 compares the sound from wind turbines at 60% output, with the sounds encountered when riding as a passenger on a vintage passenger train, the Royal Canadian Pacific, in a 91 year old passenger car, pulled by 60 year old diesel locomotives. The Figure shows both the case of listening to the diesel engines idling, only 4 car lengths away, while stationary on a siding awaiting an approaching freight train, and the sound in the passenger train as the freight train passes at about 100 km/hr., almost close enough to reach out and be touched. It is interesting to note that the sound pressure levels inside the passenger train car only are greater than the sound levels outside a home influenced by wind turbines for frequencies below about 300 Hz. Sound levels at a home beside the train tracks would be lower yet, and a train passage takes only about 100 seconds as opposed to being sustained all night. Meantime, the sound level from these wind turbines would be higher as power level increases, and can be sustained all night. 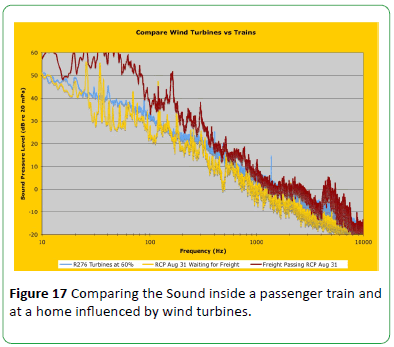 Figure 17: Comparing the Sound inside a passenger train and at a home influenced by wind turbines. Although the statement seems to be well accepted (as documented in the Health Canada study or the Council of Canadian Academies report) that some people are annoyed when wind turbines are erected in the neighborhood, the reasons given for that annoyance are varied. Response to concerns raised by individuals from developers and regulators, as confirmed by a review of Ontario Environmental Review Tribunal hearing reports shows that the concerns are trivialized. ERT Decision 13-125/13-125 documents  as an example that a witness for the Director of the Ministry of the Environment and Climate Change gave evidence that, “annoyance is not a medical condition or diagnosis, but is a psychological state that is under the control of an individual, noting that it is up to an individual to have coping mechanisms to deal with annoyance.” That position, as accepted by the Environmental Review Tribunal is in contrast to that of the International Commission on the Biological Effects of Noise (ICBEN)  that reports, “The “community response to noise” refers to the average evaluation of the noise situation by a “community” or group of residents, combined in a single outcome, annoyance. Sitting and listening to those impacted provided useful clues. Listening to more than one individual in their own words express, “I have lived with noise, and can tolerate it, but I just cannot get used to this,” is a valuable clue. Is it just noise, which we simplify as a time averaged sound pressure level in the audible range, or is it something else that bothers individuals? If so, are we going down the wrong path by developing more and more detailed procedures and regulations to measure the time averaged audible range of the sound pressure level? Listening to people describe the visual impact of the flashing lights on the wind turbine towers, and the dominating (and growing) presence of the towers on the landscapes is another valuable clue. Is it just that people do not like change, or is it indeed testimony to the fact that our body responds more to multiple stimuli than to a single one? We have no difficulty when setting out a court restraining order to identify that the offending person must not just not touch the one impacted, but must also “keep their distance,” as it is known that just seeing the perpetrator sets the body’s defence mechanisms into action . Noise and visual clues are worse than just noise alone, or vision alone. This was also confirmed in early annoyance studies in Europe [20,21]. The complaints identified a number of health issues. The author is also conscious of several sudden deaths that occurred in the vicinity of one wind power development. A gentlemen who had the closest turbine 486 m from his home, 4 within the first 1000 metres, 7 more from 1000 to 2000 metres, and 2 more from 2000 to 3000 metres. A lady who had the closest turbine 530 m for her home, 3 within the first 1000 metres, 10 more from 1000 to 2000 metres, and 22 more from 2000 to 3000 metres. A gentleman who had the closest turbine 518 m from his home, 2 within the first 1000 metres, 8 more from 1000 to 2000 metres, and 8 more from 2000 to 3000 metres. Clearly, there is insufficient evidence to say that wind turbines caused these deaths. Pre-existing medical history of the individuals is unknown, and there may well be other contributing factors, and yet in the industry the author’s experience is from, these might be considered as points to raise concern for investigation. Industry recognizes that rarely is an event caused by a single factor, and usually many factors contribute. Yet, industry risk analysis also recognizes through defence in depth strategies that removing some of the contributing factors can change the final outcome. The majority of individuals have some sort of pre-existing medical condition, and it would seem at least prudent to not dismiss the cases as irrelevant. Looking at the history shows that little has been learned as more and more wind turbines are erected at greater and greater density, near more and more individuals. While some County Medical Officers of Health  have recognized an association between wind turbines and human distress, no further action has been taken as this is not a high priority, due to other more pressing issues. In nuclear power plant siting in Canada, it is necessary to prove to the regulators that the safety of the population in general is protected, as well as the safety of the most impacted individual. Too often public health priorities deal with the protection of the global population, and ignore the most impacted individual. Siting of wind turbines is an example that while the overall population will have little impact, as located well away from the turbine sites, still the lesson of the nuclear power industry regulators to also consider the most impacted individual needs to be considered. The detailed study of the complaints filed in 2016 by residents of the K2 wind power development provides confirmation that complaints are not filed randomly by individuals who just are not willing to “get over it”, but the complaints do associate with the sound levels, and the environmental conditions of wind direction, and the configuration of the turbines relative to the homes. The review of the complaints identified a number of issues that need follow up, such as the possible association with local micro terrain effects, and the association with pressure pulses from blades when orthogonal to the home, as well as when the resident is upwind, facing the turbine. The issue is not only just down-wind conditions. The study also shows that the curtailing of wind turbines may not be a sufficient response to noise annoyance, as in fact as demonstrated in a presentation at the Wind Turbine Noise Conference in Rotterdam in May, 2017, curtailing these turbines may actually increase annoyance by increasing tonality as proven by measurements taken . The evidence presented in the paper shows that some of the more unusual complaints heard, such as about not being able to sleep inside the home and getting better rest outside (where the dBA time averaged noise is higher) can be explained by the presence of room modes existing in home geometry, excited by the forcing function of the noise from the wind turbines. The homes did not exhibit a problem without a forcing function, but once one was introduced coincident with the erection and placing in service of wind turbines, then the problem identified itself. Measurements confirm the cause of the identified complaints, and thus the annoyance generated has a basis in science. The paper shows evidence from monitoring that the erection of wind turbines does cause a change to the environment increasing background levels by 15 to 20 dB, and introducing tonal excitation income cases. Given that a 3 dB change in sound is generally understood to be recognizable,  and that 6 dB is considered to be “twice as loud” a 15 to 20 dB increase makes the contribution of wind turbines to be not just another contributor to the soundscape but becomes the dominant sound, overshadowing others. • Compared to motor vehicles on roadways. • Compared to aircraft overhead. • Compared to railway travel. Hearing of humans is a remarkable sense. Simplistically it relates to the physical response of the ear and it’s many components (again as described in most any acoustical text, such as the Master Handbook of Acoustics) but the human perception of sound is more complex than just a physical response. Our hearing results from a pattern recognition system that is far more than just a system of measuring a physical response. We can recognize the voice of a spouse or a business associate the instant we hear it on the phone, or even across a crowded room. The fact that our hearing system can equally recognize the pattern of wind turbines means that merely setting regulatory limits by setting time averaged levels in the general audibility range of most individuals (Aweighting) will not be successful at regulating a very distinctive sound. • The duration the sound is present. A sound present 24/7 is not like an air ambulance that flies over in 60 seconds. • The tonality of the sound, as this is a strong factor in the pattern recognition of sound. • The cyclical pattern of the sound. • The increase in the sound above background levels. Permitting a new cyclical sound to impose an increase of 15 to 20 dB over a random natural background will always pose problems. • The change in the frequency distribution of the sound energy, as the examples show there is a clear difference from natural sounds. Clearly the regulation of sound from wind turbines needs to consider more than just a time averaged sound level that focuses only on audible range. Listening to those presenting concerns is certainly a starting place. It works for the General Practitioner when a patient first presents with a concern. Conversations with and encouragement from many individuals contributed to this paper. First acknowledgement is made to the many (over 100) individuals who have taken the time to sit down face to face with the author to explain how they are feeling, and to describe the conditions surrounding them at the time. Listening to these sincere individuals helped immensely to focus research direction to understand the situation. Particular acknowledgement is made to the individuals who permitted the author to conduct noise measurements both outside their homes, and in some cases inside their homes. In some cases, individuals even got up at night to periodically check the recording equipment status. Thank you very much. Conversations with many qualified individuals helped to focus research. This list is not inclusive, but only identifies some of those who have helped. John E. Coulter, P. Eng. first brought up the issue of the special qualities of cyclical and tonal noise to the author in 2007. Loan of equipment from John Coulter permitted the first collecting quality data noise samples. Conversations with Dr. Kerstin Persson Waye, at the Wind Turbine Noise Conference in 2009 at Aalborg helped confirm the focus on cyclical noise as being an issue. Conversations with and presentations by Dr. Frits van den Berg and Carlo di Napoli at Wind Turbine Noise Conferences have been useful to further thinking on work regarding amplitude modulation of the sound from wind turbines. Conversations with and presentations by Dr. Brigitte Schulte-Forte Kamp, and Dr. Klaus Genuit at several Acoustical Society of America Conferences have reinforced the importance of the quality of sound as key, more than just an AWeighted time averaged value for determining annoyance. Conversations with Dr. Sidney Xue helped to seed the thought of monitoring for reflected pressure induced impacts from wind turbines. Conversations with and presentations by Dr. Mathias Basner and Dr. Wolfgang Babisch at the Acoustical Society of America special session on the work of Dr. Karl Kryter, helped to provide background to the effects of noise on human health. Conversations with Dr. Jo Solet of Harvard University at the Acoustical Society of America following her presentation on the effects of sleep deprivation were very useful to help understand this issue. Conversations with Dr. Richard Mann, Dr. John Vanderkooy, and Dr. Nicholas Kouwen of the University of Waterloo have been useful in following their research into wind turbine noise and low frequency noise. Loan of an ACO Pacific microphone from Dr. Mann has helped in conducting parallel assessments inside and outside homes to supplement the Earthworks microphone. Conversations with and review of equipment setup and monitoring with Andy Metelka of SVS Canada, have been useful to experience how a professional monitors sound. Work with Andy Metelka also provided the opportunity to do wind tunnel testing of windscreens at the University of Toronto Institute of Aerospace Engineering wind tunnel that was useful to confirm response of windscreen prototypes. Conversations with Eric Reuter while the author was taking the Acoustics course he instructs for Berklee Online of the Berklee College of Music was instrumental in bringing out the idea of room conditions as an area of research to understand some of the unusual conditions being described by individuals with wind turbines surrounding their homes, such as to why they seemed to sleep better out of doors in a tent, or in a larger recreation room instead of a more comfortable home bedroom. Many, many more have helped along the way of this research. Thank you all sincerely as we try together to understand the reason for the adverse impacts people are experiencing so that corrective measures can be put into place. Health Canada (2014) Wind Turbine Noise and Health Study Summary. Available at: https://www.canada.ca/en/health-canada/services/environmental-workplace-health/noise/wind-turbine-noise/wind-turbine-noise-health-study-summary-results.html. Karl DK (1970) The Effects of Noise on Man. Academic Press Inc, New York. Hugo F, Eberhard Z (1990) Psychacoustics Facts and Models. Springer. Global Wind Energy Council (2016) Global Statistics. Available at: http://gwec.net/global-figures/graphs. Ontario Independent Electricity System Operator (2016) Supply Overview. 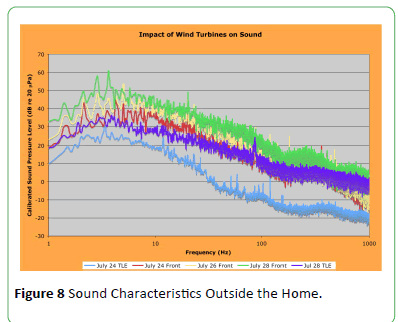 Council of Canadian Academies (2015) Understanding the Evidence: Wind Turbine Noise. Available at http://www.scienceadvice.ca/en/assessments/completed/wind-turbine-noise.aspx. Ontario Environmental Review Tribunal (2016) Available at http://elto.gov.on.ca/tribunals/ert/decisions-orders. Enbridge Ontario Wind Power Project (2006) Environmental Noise Assessment, prepared by Valcoustics Canada Ltd.Canada. K2 Wind Power Project (2013) Noise Assessment Report. Prepared by Zephyr North Ltd.
Hassan GLG (2012) Noise Impact Assessment. Armow Wind Farm. Canada. Niagara Region Wind Farm (2014) Noise Assessment Report. Stantec Consulting Ltd, Canada. Audacity Digital Recording Software (2005) Available at http://www.audacityteam.org. Faber Acoustical (2008) Electroacoustics Toolbox. Available at https://www.faberacoustical.com. Ontario Independent Electricity System Operator (2017) Data Directory, Hourly Wind Generator Output. available at http://www.ieso.ca/en/power-data/data-directory. Historical Data (2017) Environment Canada, Government of Canada. Bob Golds Room Mode Calculator (2014) Available at http://www.bobgolds.com/Mode/RoomModes.htm. Ontario Environmental Review (2014) Tribunal Decision Report case 13:124-125. Basner M, Brink M, Bristow A, Kluizenaar YD, Finegold L, et al. (2015) ICBEN review of research on the biological effects of noise. Noise Health; 17: 57-82. Groeger L (2012) Making sense of the world, several senses at a time. Scientific American. Available from https://www.scientificamerican.com/article/making-sense-world-sveral-senses-at-time/ Accessed on: February 28, 2012. Pedersen E, Van-den BF (2010) Why is wind turbine noise poorly masked by road traffic noise. Inter Noise, Portugal. Van-den BF, Pedersen E, Bakker R, Bouma J (2008) Project WINDFARM perception-visual and acoustic impact of wind turbine farms on residents. University of Groningen, UMCG and University of Göteborg, Sweden. Arra I, Lynn H, Barker K (2014) Systematic Review 2013: Association Between Wind Turbines and Human Distress. Cureus 6: 183. Palmer W (2017) A rigorous method of addressing wind turbine noise. 7th International Conference, Rotterdam, Canada. Everest A, Pohlmann K (2009) Master Handbook of Acoustics. McGraw Hill, USA.